The “new” Chinese foreign policy – What's on Politics? A new leader, a new era. This is for sure a suitable proverb for the Chinese development since early 2013. Since Xi Jinping, the new head of state in China, took over the mandate, a lot has changed. We frequently hear about newly debunked corruption cases, which proves his promise to “fight tigers and flies” to be taken seriously. Furthermore, the current Chinese government is promoting a “new” Chinese foreign policy. Due to the rising awareness on issues of global importance, Beijing is increasingly willing to support and take responsibility on these matters. China is placing greater emphasis on innovation and awareness. This is demonstrated by its focus on new initiatives, such as first-lady diplomacy and increased communication with neighboring countries. But let’s try to examine these three statements. China is by no means moving away from it’s China-centric perspective. Following the news in the last few weeks since Xi Jinping was publishing the new strategy plan for his period of governance, the government is actually promoting patriotism and national pride – printing flyers and advertisement material picturing Xi Jinping on the left and the great leader Mao on the right side. As open-minded and revolutionary Mr. Xi might seem, he encourages a setback to encrusted communistic ideals. In addition to that, immigrating to China is becoming tougher by every month for foreigners. 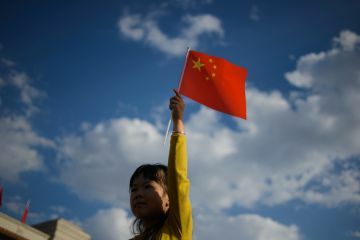 The new Chinese Green Card will appear as an unsurmountable hurdle for everyone without “guanxi” or the appropriate amount of financial resources. These two facts lead to the impression, that Beijing is not yet approaching international problems from an objective position. The second fact mentioned was about responsibility-taking. To emphasize this statement I want to refer to the UN Climate Conference in early November 2013. In the end the conference has been a waste of energy for all participants as China and India couldn’t agree on a particular sentence from the 1992 UN convention which states that only developed countries need to make commitments to cut emissions. Since years China is a major source of disruption regarding climate requirements. Despite all their attempts to invest in renewable energies, they still don’t commit to general emission standards. Regarding the state of pollution in Chinese big cities, this is a very severe issue. To finally discuss the third point concerning the “new” foreign policy of Xi Jinping, I directly go forward to the communication aspect with neighboring countries. Wether or not the communication between the countries is more frequent, by now there is no visible difference in the content of the discussions. The relations to India once again got indurated by a gratuitous trial of strength in February 2013. The relations between China and Japan have steadily been put on operation during the last few months. U.S.-Chinese relations, for instance, have been developing amicably. To put it in a nutshell, the “new” foreign policy is rather questionable than a reliable political line. Promoting patriotism while strengthening international relations might end up in a twisted chaos. Yet, China has managed their politics and international relations remarkably in the last decades, and they most probably will continue doing so in the future.